The JUMP Smart Maui project implemented from 2011 to 2016, which Hitachi led as the key technology provider together with several industrial stakeholders in Japan and Hawaii, was engaged in the development and demonstration of Vehicle to Grid integration in Maui. The objective of the project is to install and operate infrastructure to help the island transition to clean energy to transportation and also to help electrical grid introduce more renewables by utilizing distributed energy resources especially electric vehicles (EVs). The project integrates 13 stations / 44 ports of DCFC charging stations and also 200 home chargers for V1G and 80 home chargers for V2G. The number of EVs in Maui was around 80 on starting the project in 2011. At the end of the project, the number of EVs went up around 780 in 2016. The number of DCFCs is still more than 300 users in 2018. Regarding the contents of technology demonstration, V1G demonstration includes tests of home charging behavior in peak period of grid demands and managed charging based on utility’s and the participants’ needs with 200 houses participants. V2G demonstration includes tests of managed charging and discharging with 80 Hitachi bi-directional chargers. With the depth and breadth of experiences above, after this demonstration in 2016, Hitachi and our partners are expanding V2X capabilities, which includes assessment demonstration of estimated capacity of aggregated EV batteries with bi-directional chargers and frequency control with Hawaiian utility company. As the result of experiences in Maui demonstration, Hitachi has established technology confidence in V1G and V2G functions. Key device, EV power conditioning system, is also developed with our partner “IKS” and upgraded as “Hybrid PCS” with bi-directional charging functions integrating EV, PV and battery with CE and UL certifications. Hybrid PCS has been used by our customers in Japan U.S.A. and Europe since 2018. These movement tightly related to DC (Direct Current) technologies and telecommunication technology expansions, to show the future direction of DC technology, Hitachi also introduces new partner in this area. 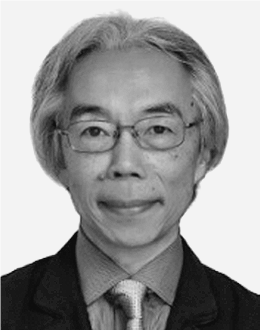 Dr. Yuichi Kado will introduce the latest tecknology, Triple-Active-Bridge Converter and the demonstration utilizing those converters experimented on distributed network. We believe that these various potentialities of EV are getting bigger very quickly and these unique aspects will be commonly used as a part of distributed energy resources and lead a key device of compact city in the future. Mr Fumitoshi Emura has been mainly in charge of overseas project promotion, new business developments as well as business alliances. He was dedicated to smartgrid demonstration project on Maui Island in Hawaii as the the president of Hitachi Advanced Clean Energy Corporation in Hawaii from 2014 to 2017. Dr Yuichi Kado received M.S. and Ph.D. degrees in electronics from Tohoku University, Miyagi, Japan, in 1983 and 1998. In 1983, he joined the Electrical Communication Laboratories of the Nippon Telegraph and Telephone Public Corporation (now NTT), Kanagawa, Japan, where he was engaged in research on SOI structure formation by hetero-epitaxial growth. From 1989 to 1998, he worked on the development of fully depleted CMOS/SIMOX LSIs and ultra-low-power CMOS circuits. Starting in 1999, he was engaged in R&D on compact network appliances using ultralowpower CMOS circuit technologies for ubiquitous communications. 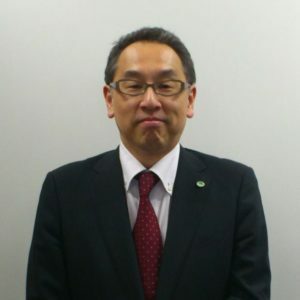 He led research and development projects on ultra-low-power network appliances, sub-terahertz-wave wireless communication, and intra-body communication as a director of the Smart Devices Laboratory at NTT Microsystem Integration Laboratories (2003–2010). In July 2010, he joined the Department of Electronics, Kyoto Institute of Technology, Kyoto, Japan. His current research interests include multi-port power routers to build energy interchanging systems. He has been the recipient of awards including the 2009 Nikkei BP Technology Award, the 2009 Radio wave Achievement Award presented by the ARIB, and the 2009 Telecom System Technology Award presented by the Telecommunications Advancement Foundation. He is a board member of NPERC-J (http://www.nperc-j.or.jp) and a member of IEEE.